Anyone seen the previews for the Beautiful Creatures movie coming out? I'm excited to show you some shots of the makeup collection that Pur Minerals created to celebrate the supernatural movie release. I'll not only do a review and makeup look from the set, but also do a giveaway! I got the palette set along with a few other Pur Minerals essentials. This is a new product for me, their Cease Creame Eye Shadow Primer. It comes in a convenient squeezy tube. It's not too drying and dries to an invisible layer. 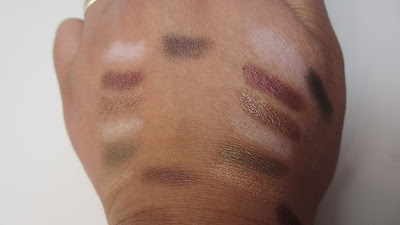 I did notice a huge difference when swatching the eyeshadow colors with and without the base. 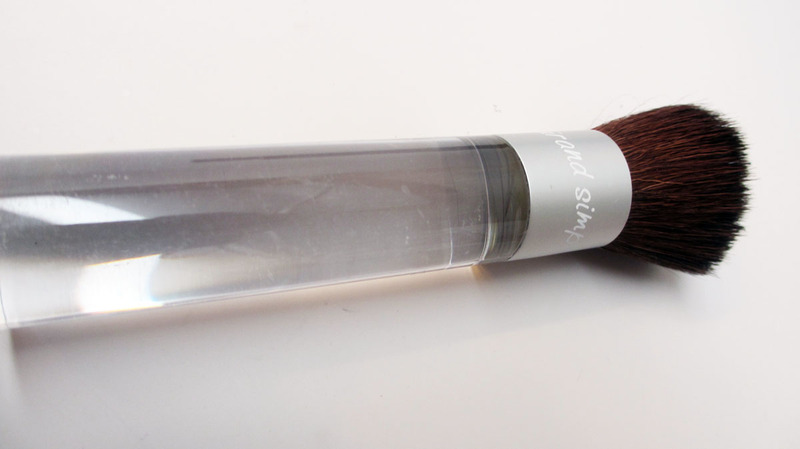 This buffer brush is meant to apply the mineral foundation. I remember getting this brush several years ago when I was first introduced to the brand. I didn't like it all back then but wow, it's greatly improved. It's dense, soft and compact. 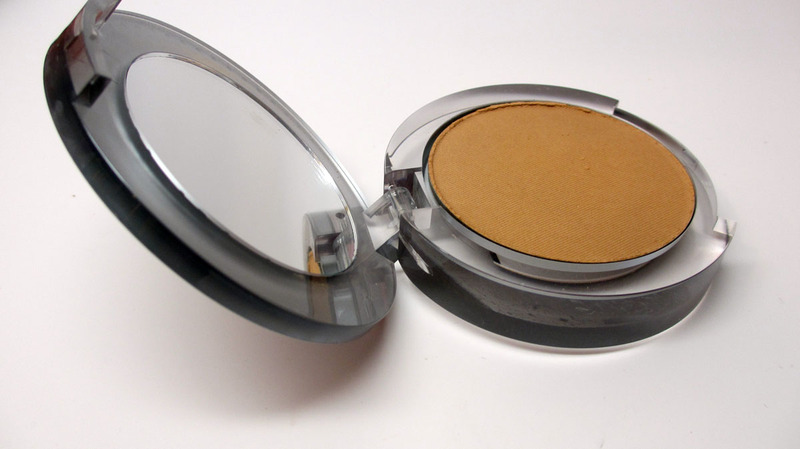 The 4-in-1 Pressed Mineral Foundation is an all time favorite of mine. 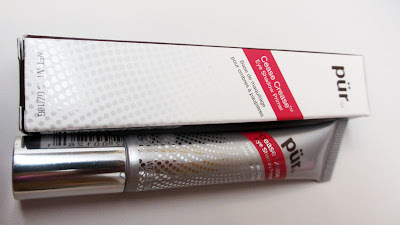 I recently repurchased one on www.HauteLook.com so I'll keep this for a back-up. I was pleasantly surprised to see that they upgraded the packaging. I love the sleek metal design, tres chic! I'm in the shade Medium Dark. I noticed that when I used it with the buffer brush it came on too dark, so right now I use it with a looser powder brush to set my foundation. I'll switch to higher coverage in the summer when my skin tans a bit. 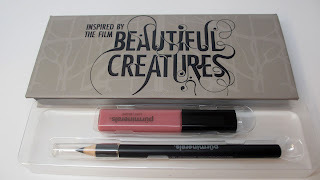 Onto the Beautiful Creatures Collection! The set comes with an eyeshadow palette that contains 8 shadows and one eyeshadow brush, along with a pink lipgloss and black kohl pencil. Here's a shot of the palette open. It has a sleek cardboard shape that's pretty compact and easy to store and travel. I love the beautiful design on the inside. 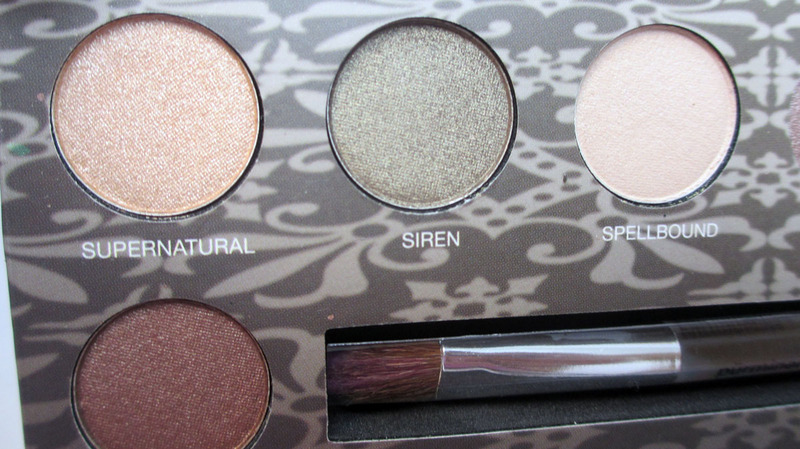 Close up - The brush that comes with the palette is actually nice and full. It's a little bigger so it's great for blending but not so much for packing on color. The back of the palette box shows you all of the colors. I like the concept of the palette - light shades on the left and dark shades on the right...Day or Night Look...Naughty or Nice. Cute idea! Here are some up close shots of the colors on the left- all of them with mystic themed names. This side has more of the earth toned neutral colors. Supernatural make a nice yellow highlight shade - it has a bit of shimmer so it goes well on the tearduct as a pop of shine. Siren is a pale moss green - pretty for spring. Spellbound is a matte cream shade - great for subtly highlighting the brow bone. On the bottom left is foreboden, a shimmery bronze shade that would look good on everyone. On the right hand side of the palette we get more pinks and purples. Fate is a classic shimmery taupe shade - great for everyday. 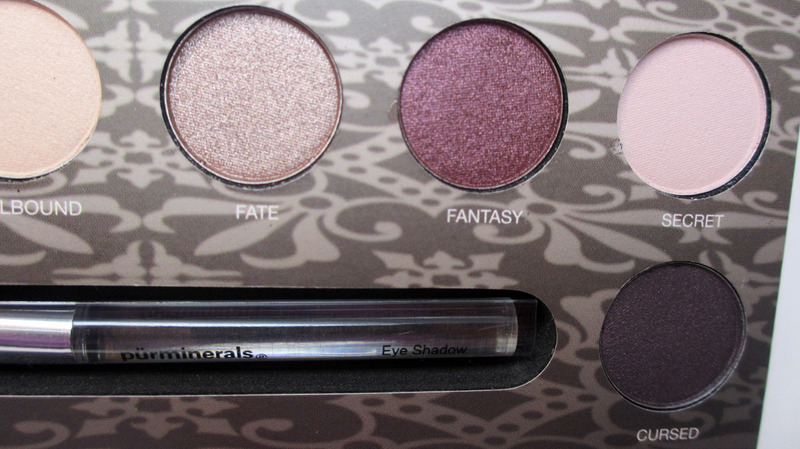 Fantasy is a shimmery cranberry - great for warming up a look. I like to rock it on the crease or lid. Secret is more of a matte pink shade which also works as a browbone highlight or a lid color. Cursed is a deep shimmery purple, great for smoking out the look and adding some color. Swatches - on the left is without the primer and on the right is with. Big difference right? To me, these are super wearable shades for day or night. The colors suit neutral and bright lovers alike. Most of the colors are shimmery but they do give you some matte highlights which are a plus. 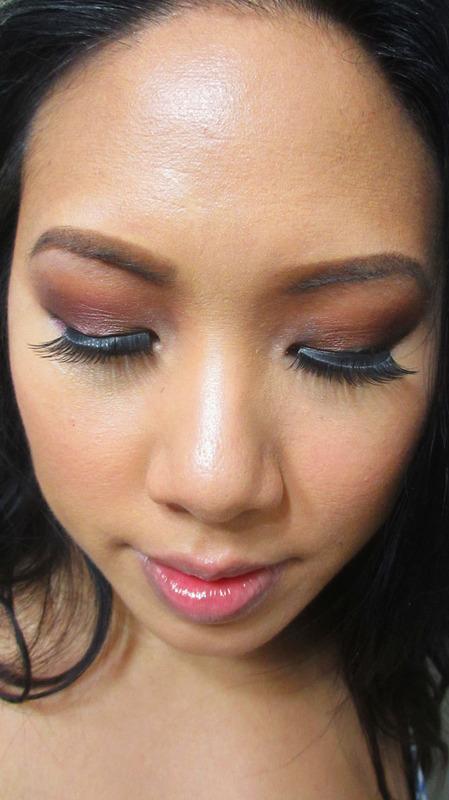 I did notice that the shadows can be a bit powdery so tap off the excess and make sure to use a primer underneath. I also ended up mixing the colors with mattes from my own collection. 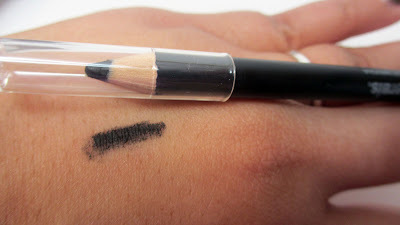 You also get a black magic kohl pencil and it's not a random one that usually see in sets, it's actually good! It applies super black and is pretty creamy. You also get a pretty pink mini gloss. The color is a pink tint that's on the sheer side. It's an everyday kind of no fuss color that let's your lips peek through, or you can top it over a lipstick for shine. I do prefer more pigmented glosses but I see how this shade goes well with some of the more dramatic jewel toned shadows in the palette. I wore these products over the weekend to a makeup event and got compliments. I do think it's a really easy palette to wear. I prefer foiling the shadows for more intense pops of color and to prevent flakiness and also mixing them with darker mattes from my collection to contour my eyes a bit. Overall, it's a nice palette, I do wish there were more mattes, but the colors are pretty and wearable. 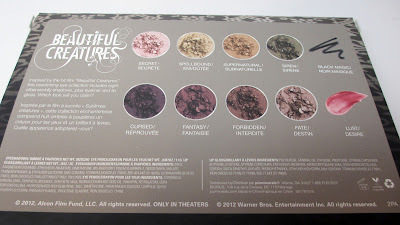 The Pur Minerals Beautiful Creatures set retails for $39 and is available at www.purminerals.com, Ulta and Shoppers Drug Mart. Guess what? It's time for a giveaway! 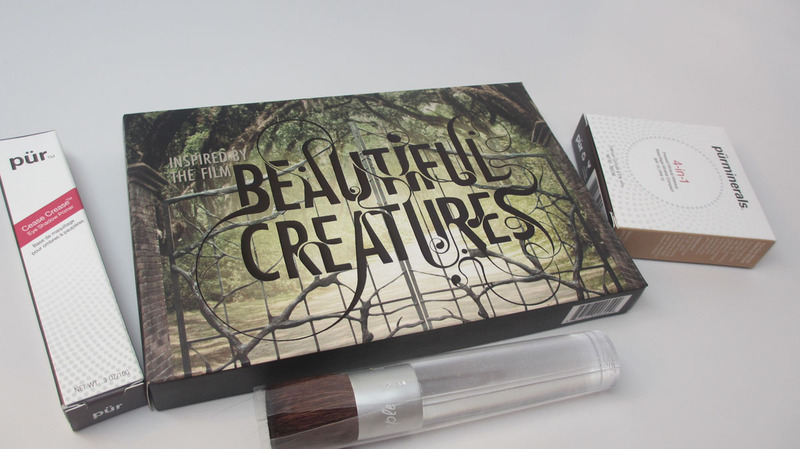 I'm giving a lucky reader the chance to win the Beautiful Creatures set. Here's how to win! Thanks for the giveaway. I want to win this palette and It will be a honor to receive anything from you! I love all the colors and I'm really into mineral makeup. 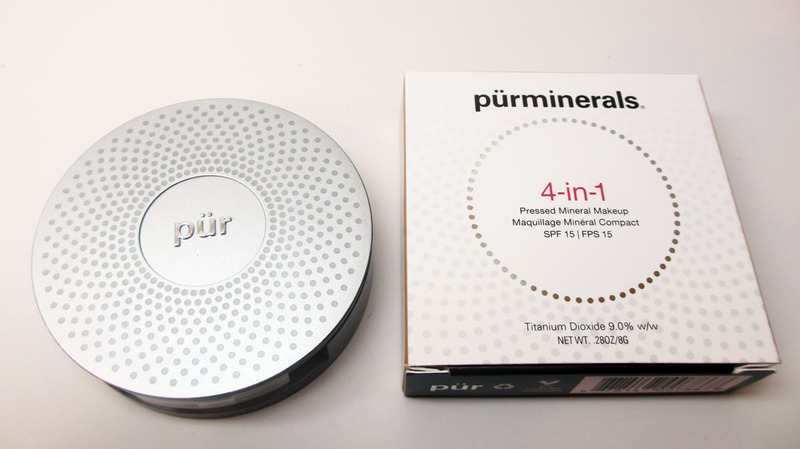 I have never tried the PUR MINERALS brand and it will be very exciting. I would love to win: It would be a chance to try a brand I have never tried before, and who couldn't use a gorgeous neutral palette for every day? I don't have any makeup palettes (except the little drugstore ones), so this would be super awesome to win so I could play around with more high end colors. As a makeup junkie, I'd love to try this set! 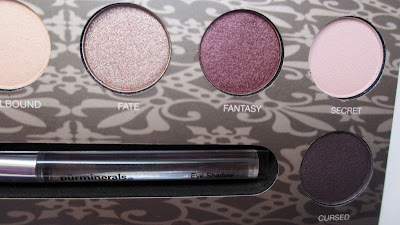 Purples are my go-to eye shadow shades too and this palette is perfect! This is a great line. I've tried a few of their products but not their eye shadows. Those are lovely colors too! I've never tried any of their products, plus this palette looks beautiful! Why do I want to win? Because you made the makeup look so good on you! Seriously, nice job! I love your upper lids. Very beautiful. What makeup addict wouldn't want to win this?? I have yet to try Pur Minerals and this looks like a lovely startng place. I love the look you did with it! I'd like to win this cause I've always wanted to try mineral makeup. My forehead tends to break out and I hear mineral makeup is great for acne. I would love to win this prize as I don't own anything from Pur mineral and would love to give the brand a try. I've been a fan of yours for over 5 years. I value your opinion on products as we have similar skin tones/types. Thanks girl for doing what you do! I loooooove make-up giveaways! They are the best! I've been following your blog and tutorias for a few months now, and I just love them! Informative and easy to follow. I don't really know how to wear make-up without looking like a raccoon and have successfully avoided it, until now. I'm getting old and my light Asian skin is just not what it used to be.... I study your blog and re-play your tutorials and I think I'm learning something! I hope, anyway! Thank you for sharing! And, please continue to do so! I would love to try this makeup brand. I've never tried it. I love the colors in this palette. Giveaways are fun, whoever wins will have fun creating day and night looks with it. I've been reading your blogs as they appear on my reading list news feed. I look forward to input about beauty products. Thank you for this awesome giveaway! 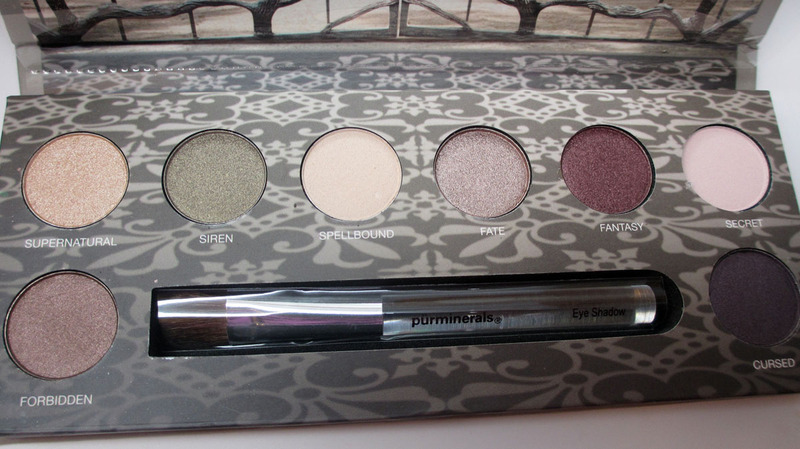 I love this palette and have been "eyeing" it a few times already. I am a purple fanatic (I have green eyes) so any palette with purple in it has my vote! I would love the opportunity to win it! Thank you for sharing! Yay! Great giveaway! instagram brought me.i saw this movie trailer and it looks super interesting. that palette looks amazing too, especially the purples. 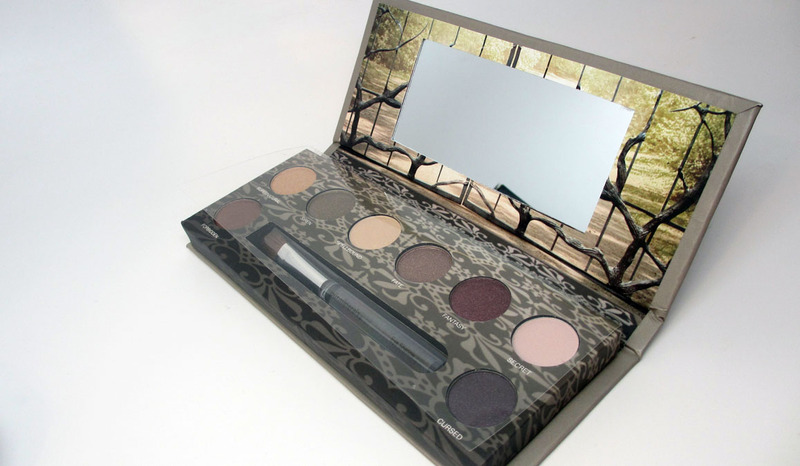 I'd love to win because this palette is beautiful and these are they shades that tend to look good on me.